Is your garage door operating at its fullest potential? Or could good old faithful break at any minute? Well you can breathe a sigh of relief…You are at the right place! A lot has changed since the first overhead garage door was created in 1921. But ONE thing remains the same, it is still one of the most used and most overlooked part of any home or business. Maintenance - Preventative care so that you can rest in confidence that your garage door won’t fail you when you need it most. Let’s agree…if it is going to break it will probably happen at 1 o’ clock on a Sunday morning! New Installation - In the event that your garage door is at the end of its life span and needs complete replacement we will retire your old door and replace it with a new one from our large factory collection of doors. We have many styles and different price ranges. Repair - Of course if your door simply needs a makeover, we can give your existing door new life with our expert enhancement skills. Simply put we can make your old door look like new! Accessories – If you need ANY supplies, accessories or replacement parts we have them ready to go. We have a selection of openers, springs, remotes and other parts. WE WILL BEAT ANY ADVERTISED PRICE!! 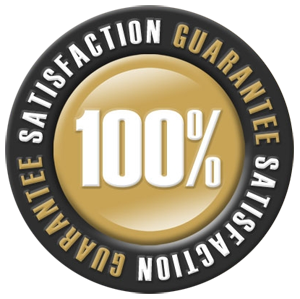 Elite Garage Door Repair Specialists are ready to earn your business! Services area: Kissimmee, Osceola, Orlando, Orange, Lake, Tampa, Volusia all Central Florida. Our garage door company has over 25 years of experience providing excelent garage door repairs and services. Choose from a wide selection of new garage doors including premium steel, insulated, carriage house, wood and more. Garage door specialists help you choose the best garage door opener to meet any residential or commercial requirement. Our garage door company safely installs torsion and extension garage door springs to fit any make or model. As the largest moving part in your home, the safe, secure, and efficient operation of your garage door is essential to you, your family and us. Whether you are in need of repairs to your existing door or opener, or you are in the market for a new garage door or opener. Also our services include Installation, Repair and Maintenance of Roller Doors, Roller Shutters and Grilles, Tilt Doors, Panel Doors, Specialty Cedar Doors and other Custom Made Doors and Gates for Residential, Commercial and Industrial purposes. Be sure you are doing business with a locally and family owned professionals.